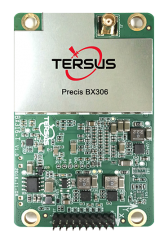 Tersus GNSS Inc., a GNSS RTK manufacturing company based in Shanghai, China, has released BX316D designed to extend its GNSS OEM RTK & PPK board, and offer more compatibility to the market. BX316D is a GNSS real-time kinematic (RTK) original equipment manufacturer (OEM) board for accurate positioning and heading. It is able to integrate with other host devices or to serve as an independent positioning system. 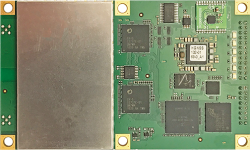 According to the company, the versatile interface and log/command formats make it compatible with major GNSS OEM boards in market, and it performs from GPS L1/L2, GLONASS G1/G2, BDS B1/B2 frequencies from a primary antenna. 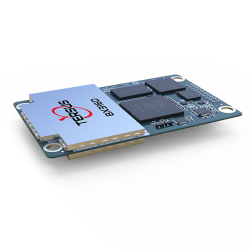 BX316D is designed to extend the company’s GNSS OEM RTK & PPK board, and offer more compatibility to the market. Photo: Tersus GNSS. Earlier, Tersus showcased some of its RTK Solutions at InterGEO2017.